SAM 100 is an easy to use and cost-effective method of collecting fieldwork data for cost- analysis relevant to both farmers and contractors. Records work, allowing contractors to charge accordingly. More accurate fieldwork, saving resources. 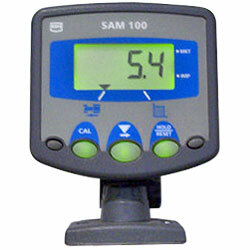 Can be programmed by the operator for implements of any practical width and for any sensing wheel size.